A luxury journey, for the most discerning of travellers. 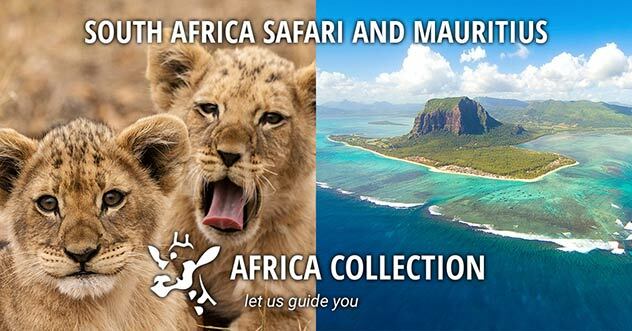 Starting with a safari in the malaria-free and 'Big 5' Madikwe Game Reserve on the Botswana border; then enjoy one of life’s real treats on board a luxury train journey from Pretoria to Cape Town, on the famous Blue Train; and finally enjoy one of the world’s great tourist cities, Cape Town. If you are looking for a special celebration holiday, then this is one for you. A 'Big 5' safari in the malaria-free Madikwe Game Reserve. Experience one of the most luxurious trains in the world - The Blue Train. On arrival into Johannesburg airport you will be met by a representative of Fedair who will transfer you to their exclusive departure lounge at OR Tambo Airport in time for your onward light aircraft flight to Madikwe Game Reserve, where on arrival you will be met by your game ranger and transferred, by safari vehicle, to your safari Lodge for your 3-night stay. 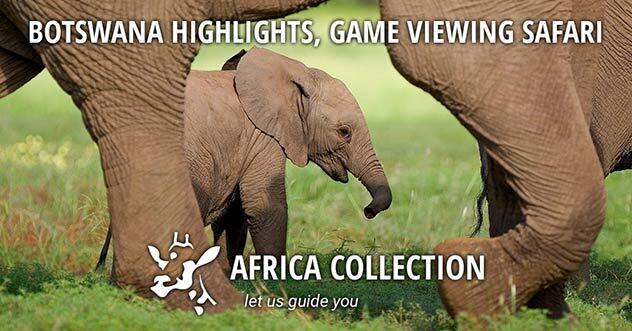 Enjoy game viewing activities in open vehicles and on foot. The Madikwe Game Reserve, situated against the Botswana border, is one of South Africa's prime safari destinations and one of the largest game reserves in South Africa. Madikwe game reserve is the North West’s best kept secret, only an hours flight or 4 hours drive from Johannesburg, and it is a great choice for visitors wanting a different ‘Big 5’ malaria-free game viewing experience. 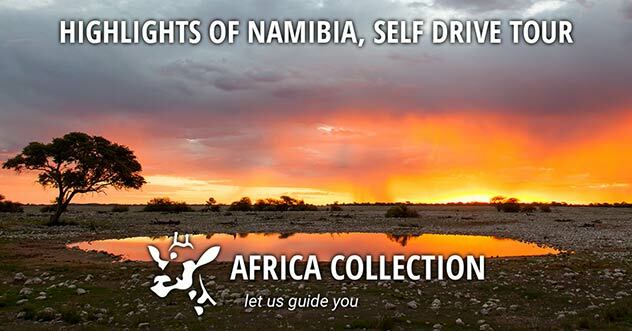 Home to the wild dog, black rhino, cheetah and brilliant wildlife, with many accommodation types to suit all needs, ranging from farm houses to luxury game lodges. In the Madikwe Private Game Reserve, Thakuda is tucked within a riverine canopy along the banks of the Marico River, it is surrounded by tree-tops, nature and sheer tranquility. In the Madikwe Private Game Reserve, Thakuda is tucked within a riverine canopy along the banks of the Marico River, it is surrounded by trees, nature and tranquility. Located in the eastern region of Madikwe Private Game Reserve in the North West Province of South Africa, is the community run tented camp, Thakadu River Camp. Tucked within a riverine canopy along the banks of the Marico River, Thakadu is surrounded by tree-tops, nature and sheer tranquility. The influence of the river is very apparent, with the trees, birds and water providing a peaceful and tranquil mood within the camp. There is an open-plan reception, lounge and dining area. The lodge pool and bar overlook the river and a traditional boma falls within a glade of natural riverine forest where nature envelops the camp. Thakadu consists of 12 tented units including four family units. The tents are set on wooden platforms each with their own viewing deck. Comfortably furnished and with a strong Afro-Asian safari ambience the tents feature en-suite bathrooms with an indoor shower and separate bath, mosquito nets draped over double or twin beds, hairdryer, tea and coffee facilities and glass sliding doors that open onto the viewing deck. 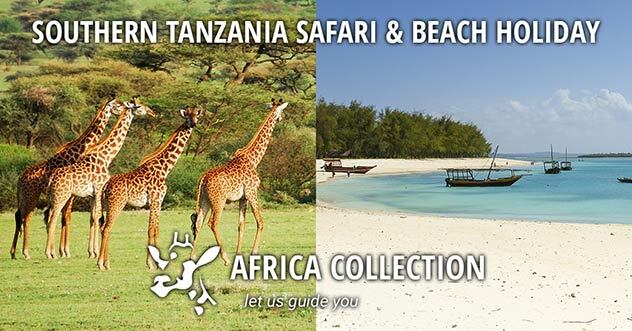 Activities from Thakadu include morning and afternoon game drives, birding, bush walks and star gazing. All the game drives are led by experienced and highly trained rangers who have a vast knowledge of both the fauna and flora in the area. Guests have the opportunity to enjoy early morning as well as evening game drives where the chances of spotting the Big Five, are high. Both morning and evening game drives offer completely different opportunities and sightings. Hear the sounds of a wide range of birdlife too, and have your camera and binoculars on hand. Tuningi Safari Lodge is set in the heart of the world-renowned Madikwe Game Reserve, a 75 000-hectare malaria-free Big Five game reserve bordering Botswana. Understated elegance greets visitors to this private and exclusive Lodge where a warm friendly welcome sets the scene. The main lodge is spacious and luxurious with a rim-flow pool overlooking a waterhole, and a tent set up in the garden for children to play in. Rise early to be guided by your knowledgeable ranger in an open game vehicle in search of the Big Five. Lion, elephant, buffalo, rhino and leopard are sighted frequently, as well as the rare black rhino and wild dog, for which the reserve is renowned. Walkways lead to the four Luxury and two Family Suites, providing peace and privacy. The air-conditioned suites are spacious and stylish, each with fine percale linen, bathroom, fireplace, private deck and alfresco shower. Each beautifully appointed spacious bedroom, with a comfortable lounge area, and a private wrap around wooden deck on each of the suites offers the perfect place to relax and enjoy the sights and sounds of the bush. The two Family rooms with two en suite bedrooms and adjoining living areas are perfect for families looking for extra space. Little Tuningi sleeps 6 and can be booked exclusively; offering a private boma, dining room, pool and vehicle, and is ideal for families, intimate groups or VIP’s in search of complete privacy. 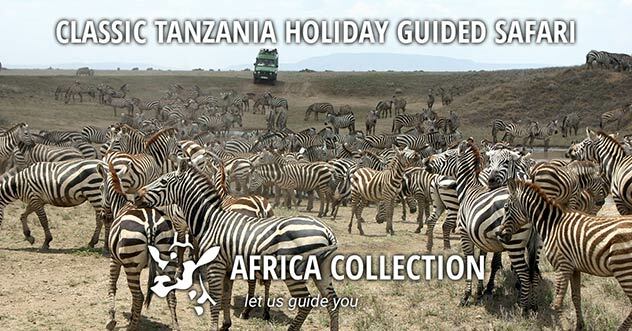 Lion, elephant, buffalo, white and black rhino, leopard and the rare and endangered wild dog are just some of the unique sightings that may await you. 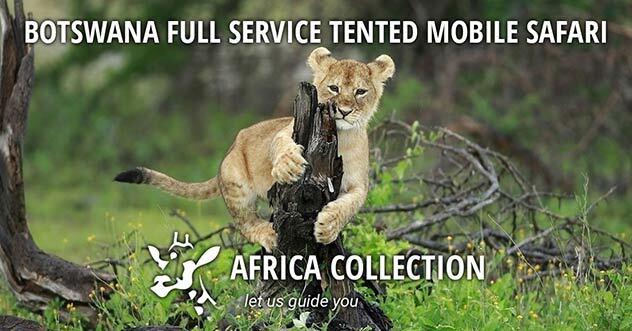 Tuningi’s game rangers are highly qualified and have sound knowledge of the fauna and flora within the Madikwe Game Reserve and pass on this knowledge and passion to guests during their game drives and walking safaris. Tuningi is family friendly and will enthusiastically introduce your children to the wonders of the wild, with careful regard for their safety. Children under 6 years of age are unable to participate in game-drives (shorter kiddies game drives can be arrange after breakfast). By law children under 16 and adults over 60 years cannot participate in these walks. After a final game drive and breakfast you will be returned to the airstrip for your return light aircraft flight to Johannesburg where you will be met and transferred to nearby Pretoria. This afternoon you may want to take any one of the many local tours available. The Sheraton Hotel is across the lawn from the magnificent Union Buildings, in the quiet suburb of Arcadia, Pretoria. The hotel has an atmosphere of sophistication and elegance. The Sheraton Pretoria Hotel is situated across the lawn from the magnificent Union Buildings, in the quiet suburb of Arcadia, Pretoria. The impressive marble lobby and the custom-designed furnishings of the reception and lounge, gives this superior hotel an atmosphere of sophistication and elegance. The 175 comfortable rooms and suites all have views of the Union Buildings and Gardens. The décor is warm and inviting, with soft colours, lavish linens, Italian marble and modern conveniences including air-conditioning, satellite television, personal safes and tea/coffee making facilities. The en-suite bathrooms have separate baths and showers. Tiffens Bar and Lounge offers a selection of light meals, pastries and cocktails, while Magnolia is the all-day restaurant, serving sumptuous South African breakfasts, lunches, and dinners with an international flair. Make use of the chauffeur service within the Pretoria radius, the wireless Internet access and shop at the exclusive gift shop. Keep fit at the health club, or relax on a shaded lounger beside the heated swimming pool. An elegant Tuscan style estate, it is surrounded by landscaped gardens and mature olive trees and offers spectacular views of the hills, gardens and trees of the capital city. An elegant Tuscan style estate, surrounded by landscaped gardens and mature olive trees, it offers views of the hills, gardens and trees of the capital city. Castello Di Monte is situated in the upmarket Waterkloof Ridge suburb of Pretoria. An elegant Tuscan style estate, it is surrounded by landscaped gardens and mature olive trees and offers spectacular views of the hills, gardens and trees of the capital city. The finest granite flooring and elegant art adorns the extravagant hallways. This accommodation provides a perfect stop for an overnight stay in South Africa’s capital city. The nine luxury suites are styled in sixteenth century splendour. All are equipped with air-conditioning, under-floor heating, satellite television, minibars, tea and coffee facilities and WiFi. The en-suite bathrooms are spacious with jet showers and some like the honeymoon suite also have oversized oval bath tubs. There are seven intimate dining areas offering tantalising experiences and views, the outdoor Roman style swimming pool and terrace bring relief on hot days, wellness treatments are available in the comfort of your room, there is a sauna and steam room, secure under cover parking and a giant rooftop chess set. You will be collected and transferred to the station in Pretoria, where you will be welcomed with a glass of champagne in the private departure lounge, whilst your bags are tagged and loaded onto one of the most luxurious trains in the world – The Blue Train. The overnight journey takes you through spectacular scenery on your way to the Mother City of Cape Town. Relax in your spacious compartment or suite and enjoy the unforgettable experiences of the lounge car, dining car and observation car. The Blue Train has been synonymous with luxury hospitality since 1946, offering journeys into a world of grace and elegance, enjoyed by Kings and Presidents. The suites offer the finest bed linens, marble tiles and gold fittings in the bathrooms. Fine cuisine, complemented by the best South African wines, is served with the ever-changing scenery flashing past the windows. The welcoming Lounge Car has large windows and is near the relaxed Club Car, an ideal social meeting point for aperitifs or after-dinner coffees and cognacs. Pre-departure lounges in Pretoria and Cape Town are a fitting introduction to this most famour of trains. The routes of the Blue Train take guests through some of the most breathtaking countryside to be found anywhere in the world, travel in a world of grace, elegance and romance. The routes of the Blue Train take guests through some of the most breathtaking countryside anywhere in the world, travel in a world of grace, elegance and romance. Since its inception the Blue Train has been synonymous with elegance and luxury – its name has become associated with the ultimate in comfort and personal service. The suites on the Blue Train live up to its reputation, and each coach has a butler on call to attend to your needs and ensure that your experience is as memorable and comfortable as possible. The fully air-conditioned trains accommodate between 74 - 82 guests, depending on which ‘set’ is used. Each ‘set’ has two lounges - the main lounge car which is a meeting place for drinks and high tea, and the club car where guests can relax over an after dinner drink or watch the large screen which provides a drivers-eye-view of the track ahead. 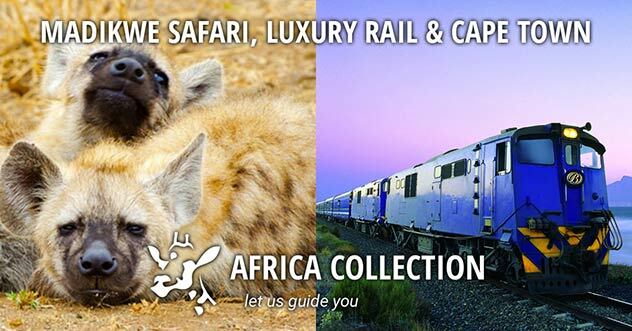 Cuisine aboard the train features South African delicacies complemented by fine South African wines. The routes of the Blue Train take guests through some of the most breathtaking countryside to be found anywhere in the world. When you choose to travel on the Blue Train, you choose to travel in a world of grace, elegance and romance. The route between Pretoria and Cape Town is a journey of 1 600 kilometres (994 miles), through some of the most diverse and spectacular scenery on the continent. Northbound and southbound, the train stops at the famous diamond town of Kimberley where guests can explore the Diamond Museum and the Big Hole, the biggest man-made hole in the world. The Deluxe coaches have four suites per coach; one suite with a bath and the others with showers. The Deluxe suites feature either twin beds with a shower, or double beds with a bathtub and handheld shower. The luxury suites are a metre larger, and these twin or double-bedded suites have baths only. The luxury suites also have a large choice of radio and movie channels with a private digital entertainment centre and a selection of music CDs and movies on DVD. When you choose to travel on the Blue Train, you choose to travel in a world of grace, elegance and romance. This final leg of your journey into Cape Town this morning is probably the most scenic of the whole route and a perfect way to be introduced to this stunning city. You will be met at the station and transferred to your hotel for your 5-night stay. 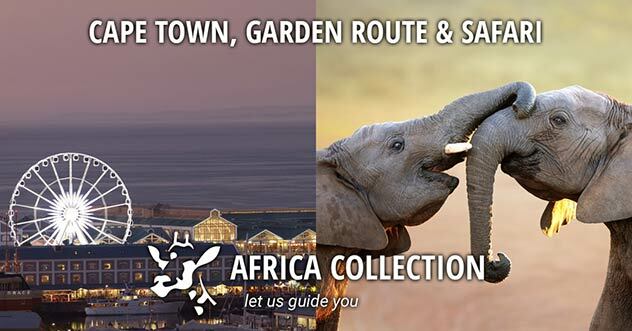 Included in your stay is a full-day private guided tour of Cape Town, with picnic lunch. 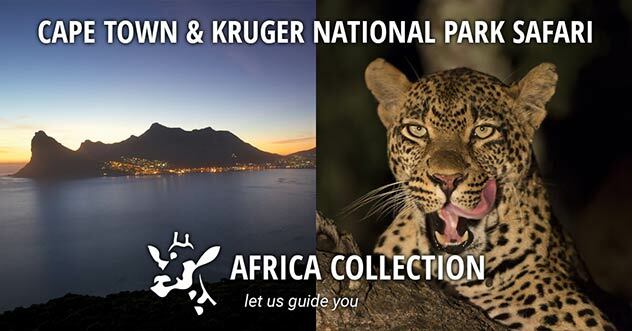 Other alternative activities are a helicopter trip to the Winelands for lunch; shopping at the V & A Waterfront; breakfast on the top of Table Mountain; a picnic at Kirstenbosch Botanical Gardens; or dinner at one of the many fine restaurants in the city. With plenty to offer the tourist you should never get bored. Just a 45-minute drive from Cape Town and you’re in the scenic mountains and valleys of the Winelands. Experience the historical and cultural heritage of the region while visiting quaint villages and vibrant townships, outdoor museums and galleries, open-air theatres and outdoor art and craft exhibitions. You will be transferred to Cape Town International airport today for your overnight flight to the UK. 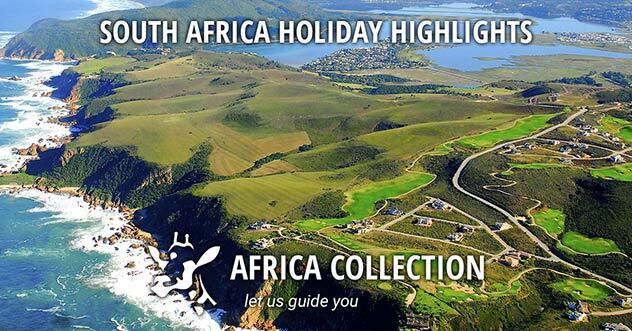 10 nights (on the ground) of some of the best that South Africa has to offer. A perfect trip to celebrate that special occasion, landmark birthday or anniversary, or honeymoon - or just for the hell of it! The departure dates of this holiday are determined by the train schedules. Rovos Rail, another luxury train that operates on the same route (Rovos Rail takes 2 nights), is another luxury alternative to The Blue Train. This itinerary can also easily be operated in the reverse direction. "Want to thank you myself for arranging the holiday – we had a fabulous time. Overall the trip was spectacular, and as usual, perfectly organised!" "Just a short note following our arrival home to compliment you on all the arrangements you made for our South Africa trip. Without doubt this ranks as one of the best trips we have ever done; the hospitality of all our hosts, the care they took to see that our every need was catered for, the quality of the accommodation, the food, the wine and of course the value for money all were without exception excellent. Thank you for everything you did to make the trip so worthwhile."